A 《Royal Paladin》 Deck whose ace is “Exculpate the Blaster”. Battle with all of your opponent’s Units and seize victory! The brilliant recollection envelops the entire world! 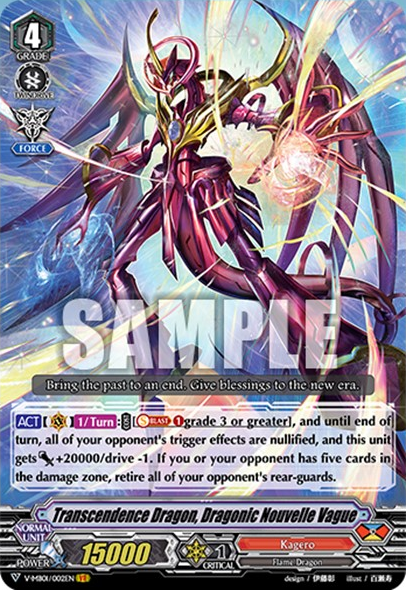 A 《Kagero》 Deck that has “Transcendence Dragon, Dragonic Nouvelle Vague” as its ace card. Settle the game by sealing all Triggers! Rejoice at the birth of a new era!